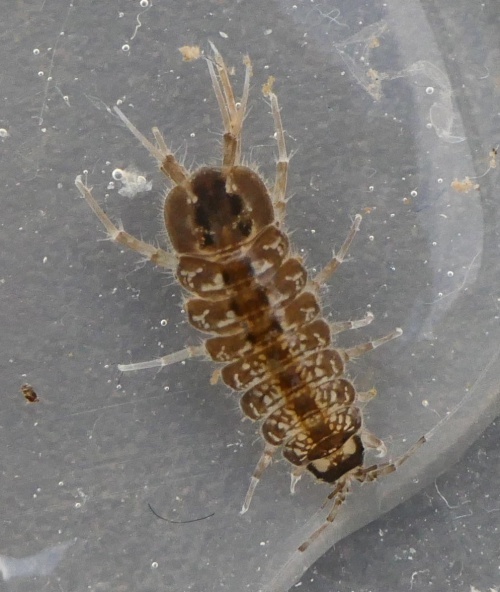 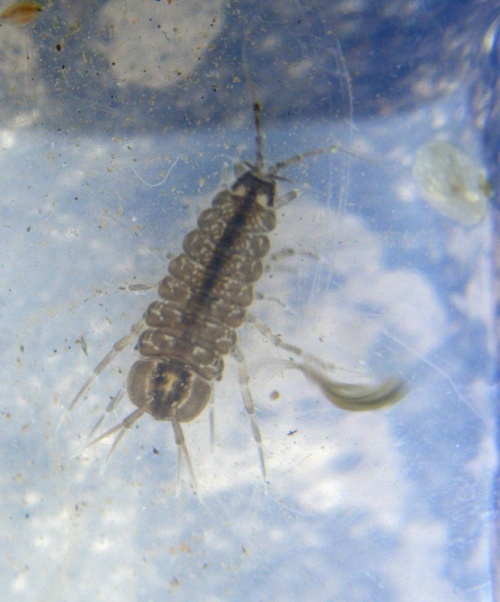 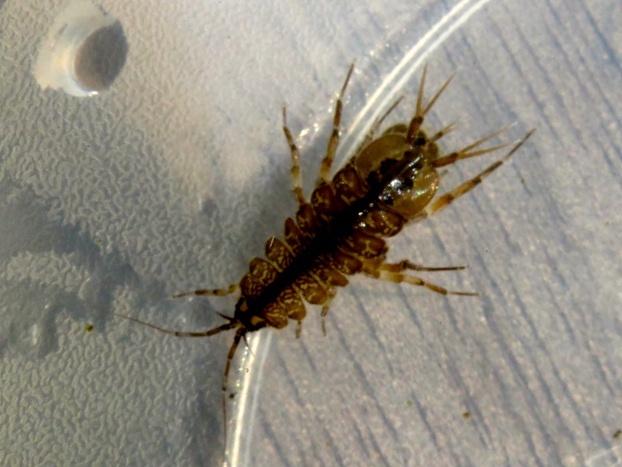 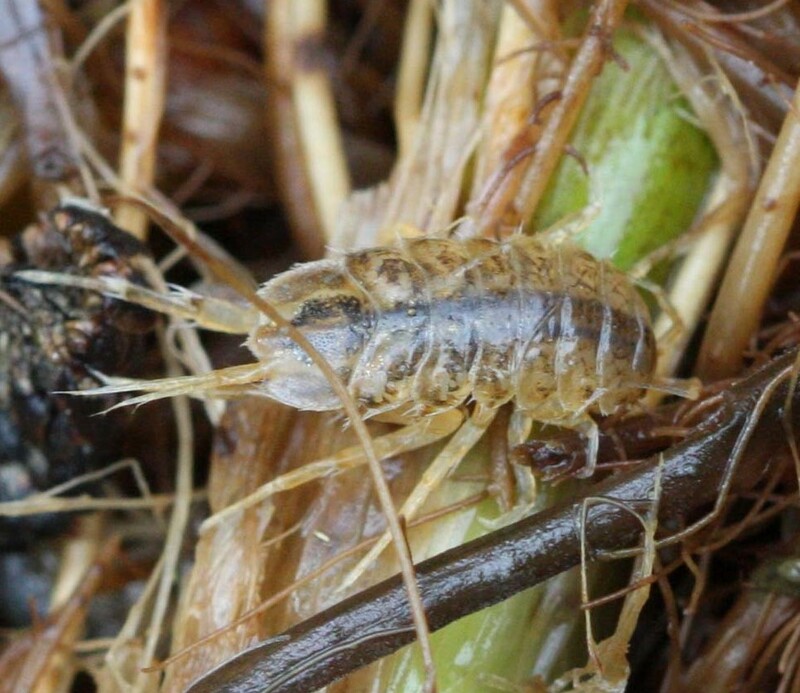 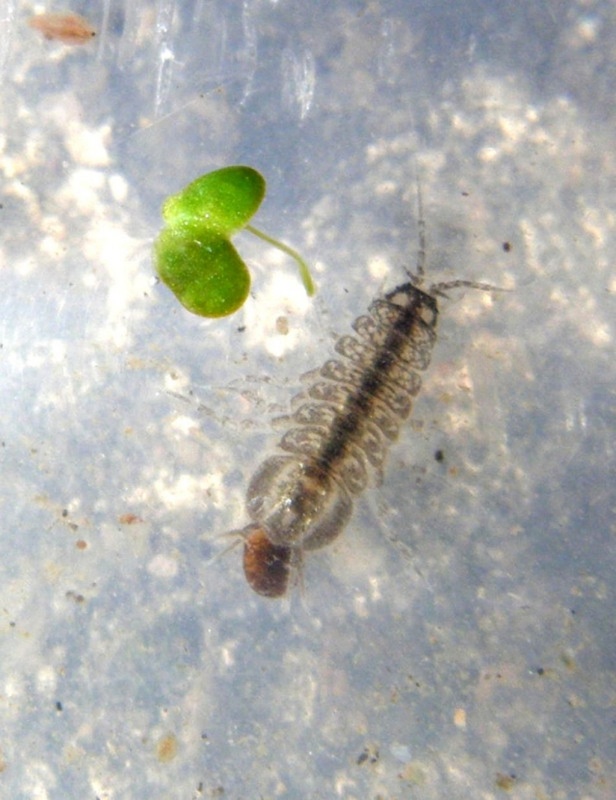 This crustacean is closely related to woodlice but lives entirely in water. 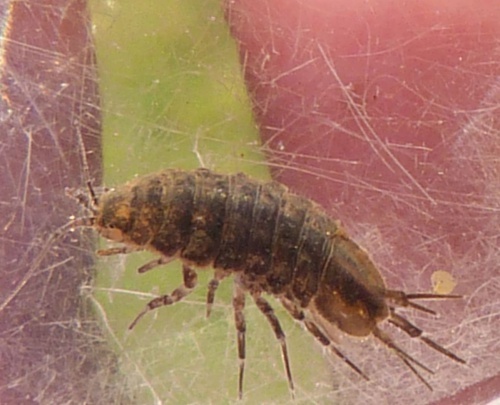 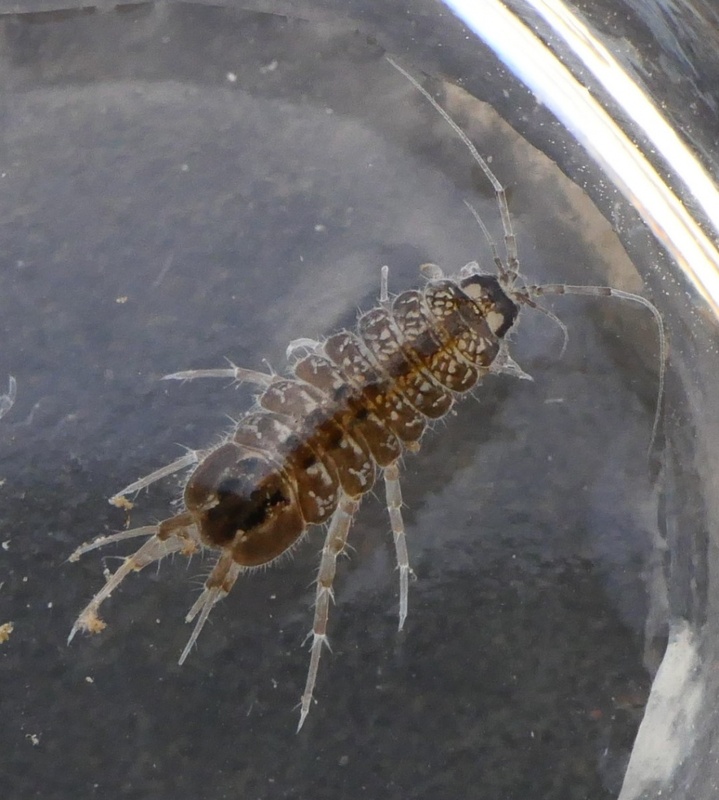 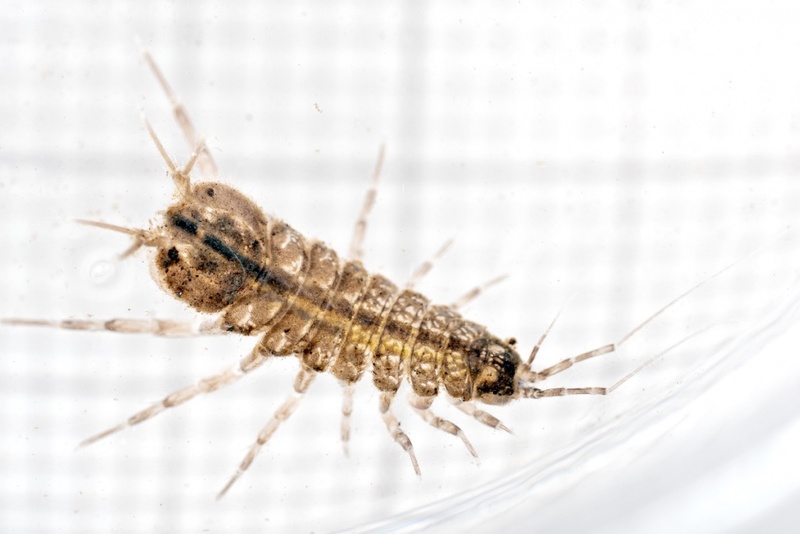 It is one of four waterlouse species in Britain, two of which are known to be found in Leicestershire and Rutland. Asellus aquaticus is the commonest and can be recognised by the two pale spots on the head. 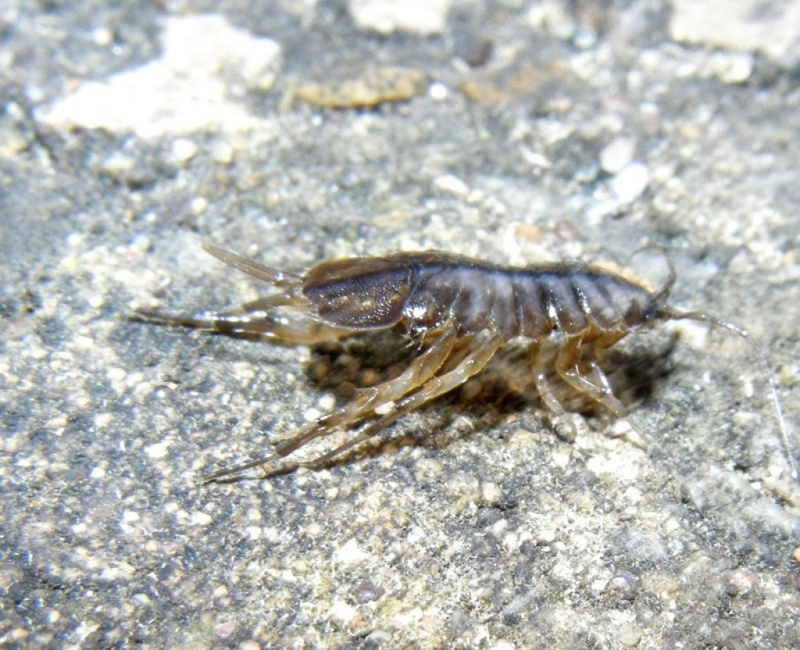 Proasellus meridianus is very similar but can be differentiated by having a single bar-like spot on the back of its head. 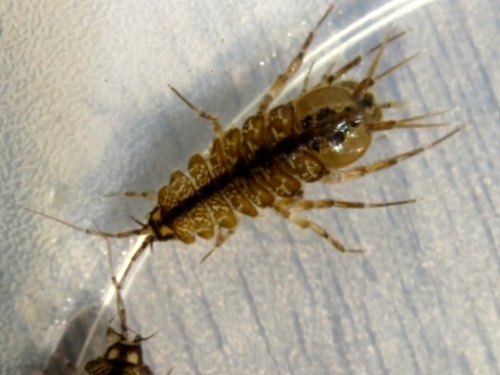 Attach an image showing the head spots or add a comment describing how you identified this species. 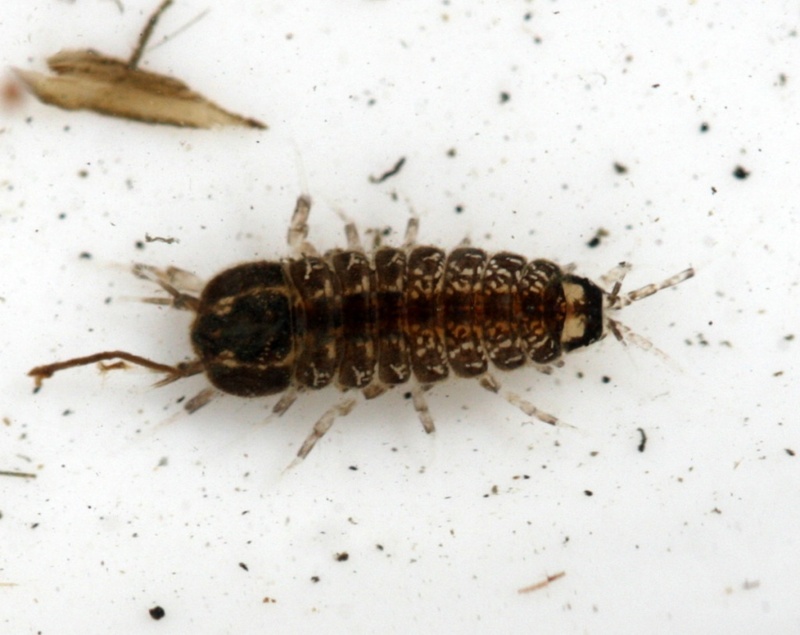 Often found in stagnant water as they can tolerate low oxygen levels. 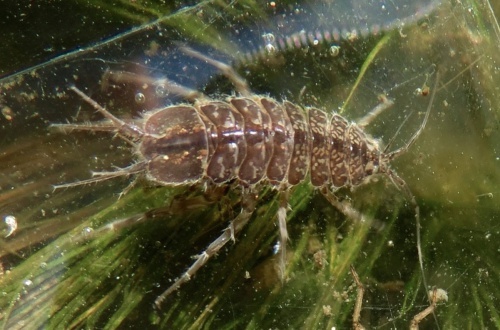 They do not swim well but tend to crawl around weed and mud. They are detritus feeders, eating decaying organic matter. The species breeds throughout the vegetation period, most frequently in spring. Females carry eggs in brood pouches underneath their body. 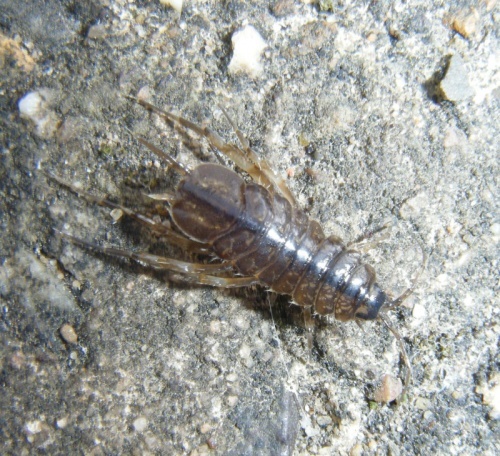 It is common and widespread in Britain.